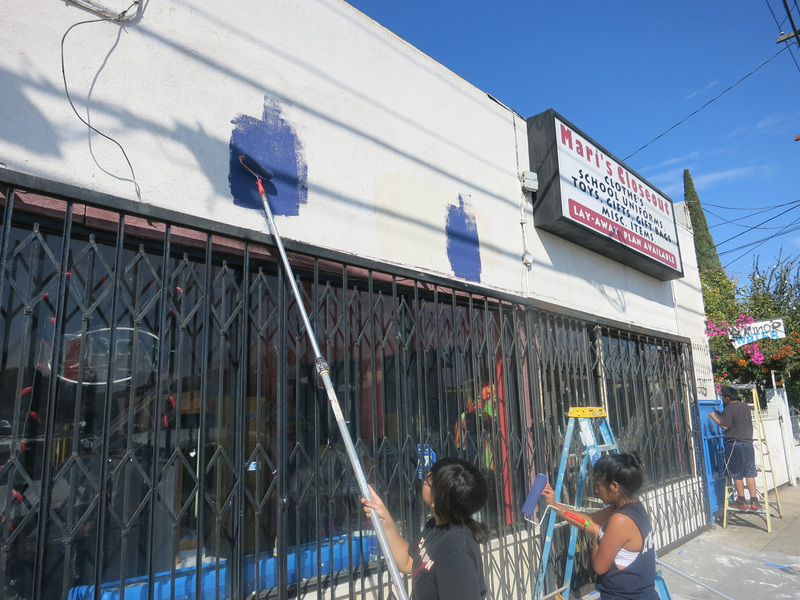 Summer 2013 marked the start of the store transformation in Boyle Heights. 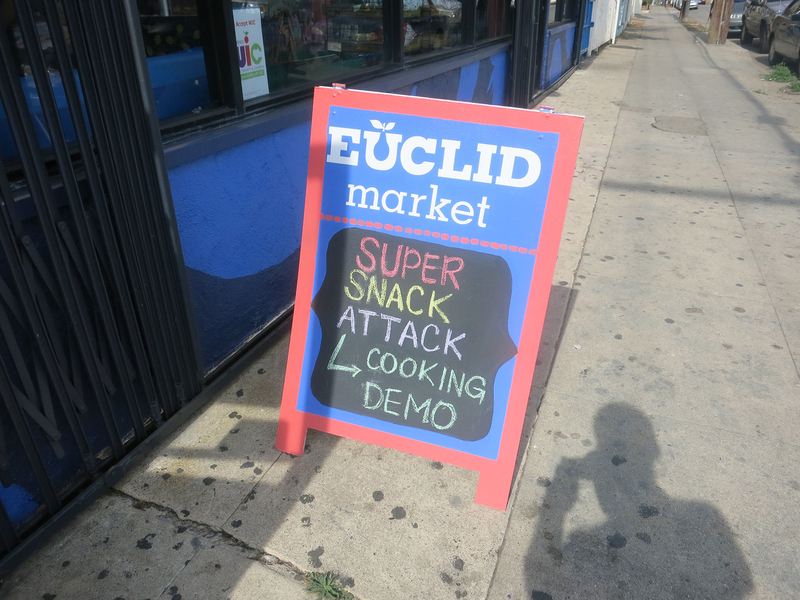 Euclid Market, on Euclid Avenue near the corner of 6th St., received a physical and programmatic overhaul. 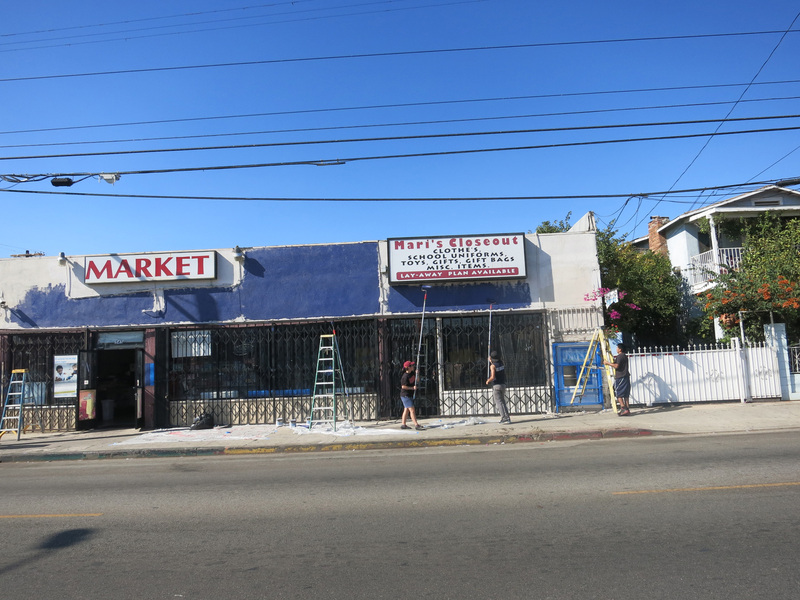 Public Matters worked with the storeowners, The Avila Family, Nathan Cheng, and Community Liaisons to brainstorm floor plan options, color schemes, and overall store designs. 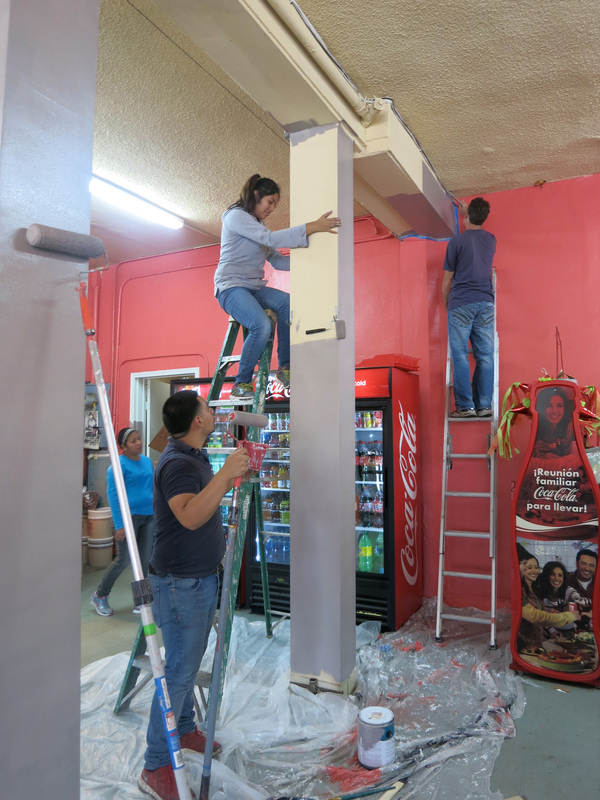 The Community Liaisons + local students from The School of Communication, New Media + Technology (CNMT) at Theodore Roosevelt High School took responsibility of the store by going into the store and doing the measurements themselves and doing layouts for the store. 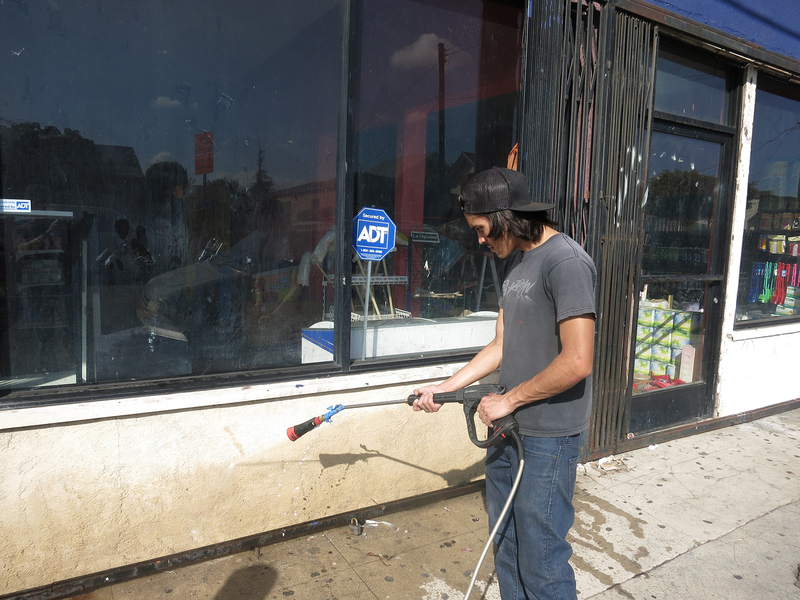 Getting their hands dirty they went in to clean the store, rearrange it and learn how make the store more inviting. 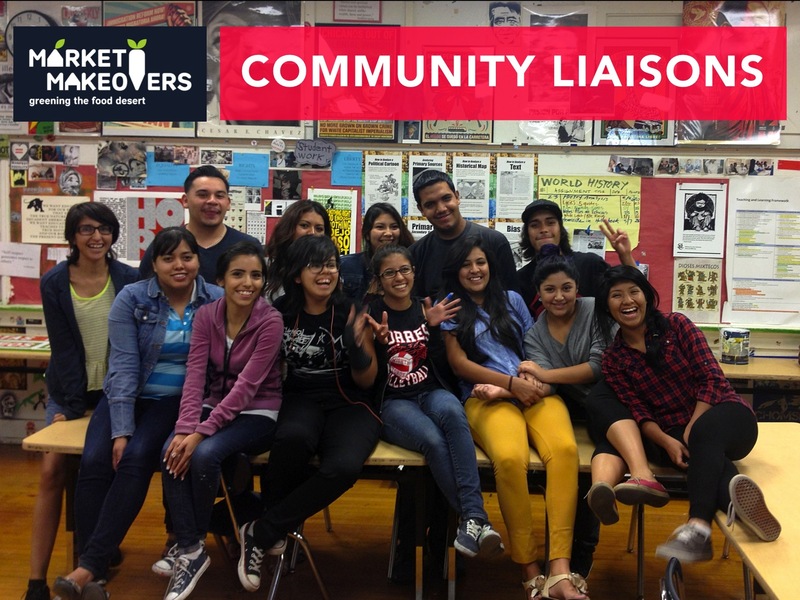 The Community Liaisons in the summer of 2013 consisted of Andy Alvarez, Destinee Arriero, Guillermo Avila, Lizbeth Banuelos, Darinee Garba, Steven Cadona, Lilybeth Hernandez, Jocelyn Herrera, Clara Mejia, Martha Mejia, Karina Pulido, Shirley Ramirez, Alma Reyes, and Miriam Rosas. 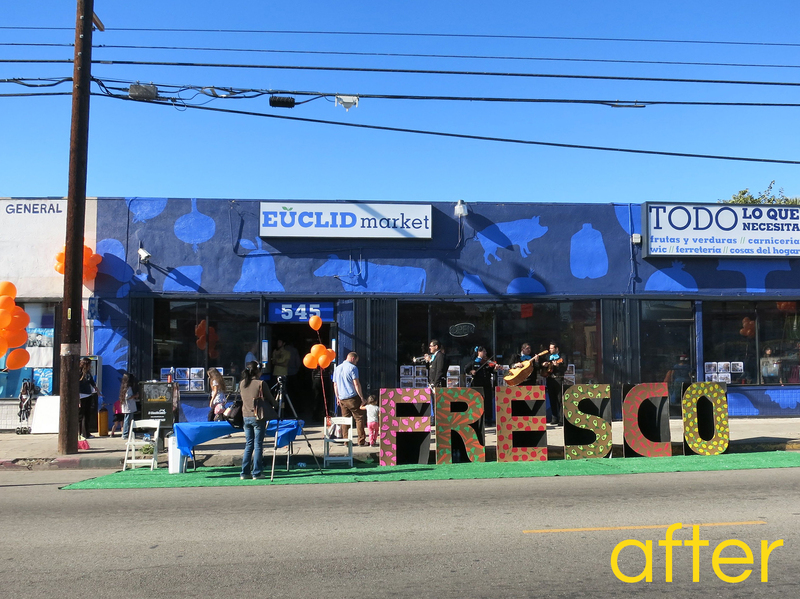 Make sure to watch the Artbound feature on the Market Makeover at Euclid here. 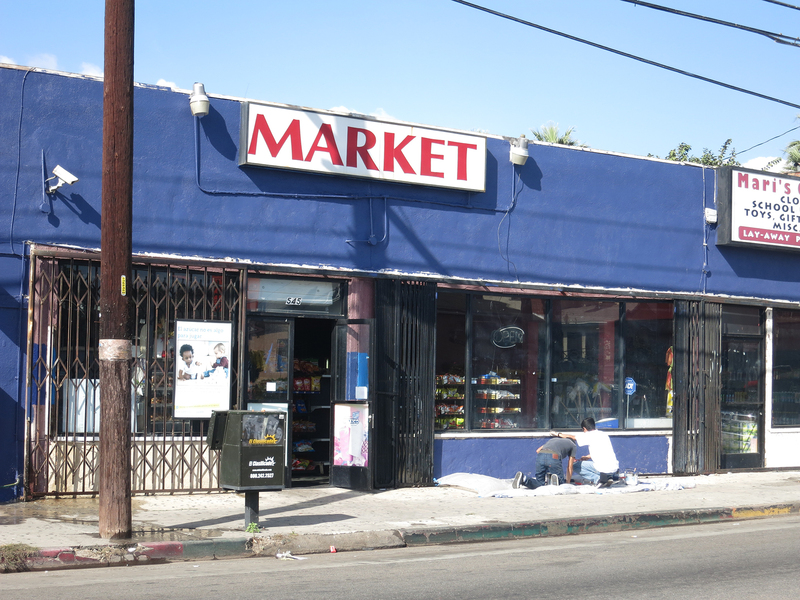 Generic “Market” was the original name to Euclid. 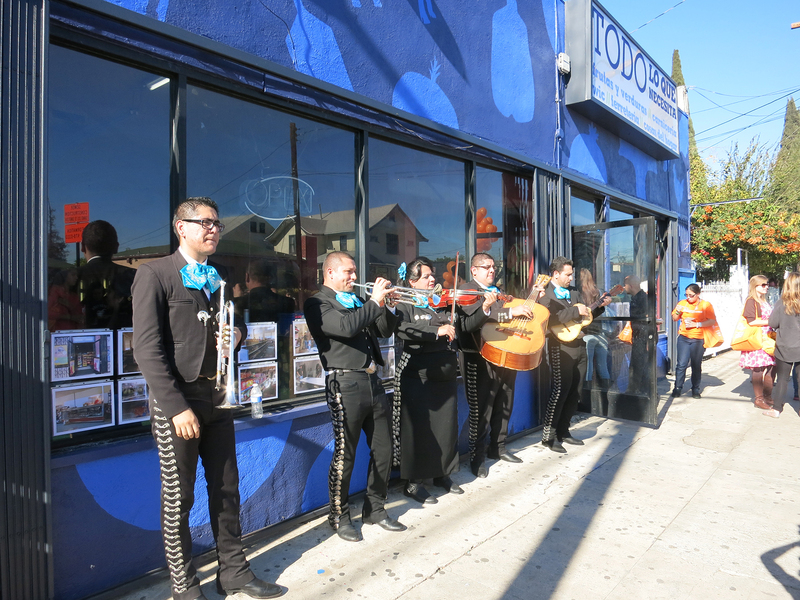 The exterior seemed just as appetizing as the name itself. 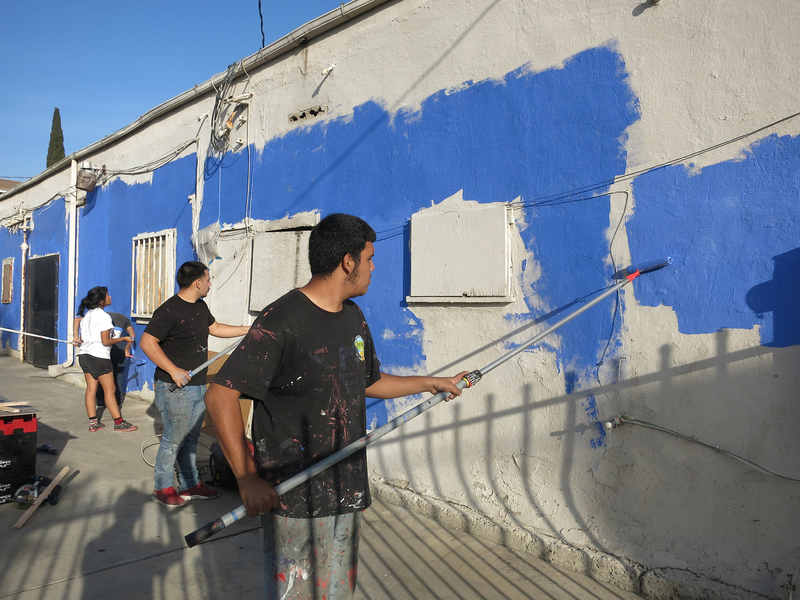 Maria Avila worked with the Community Liaisons and Public Matters to define the transition from bland white wall to the beautiful blues and whimsical silhouettes that exist today. 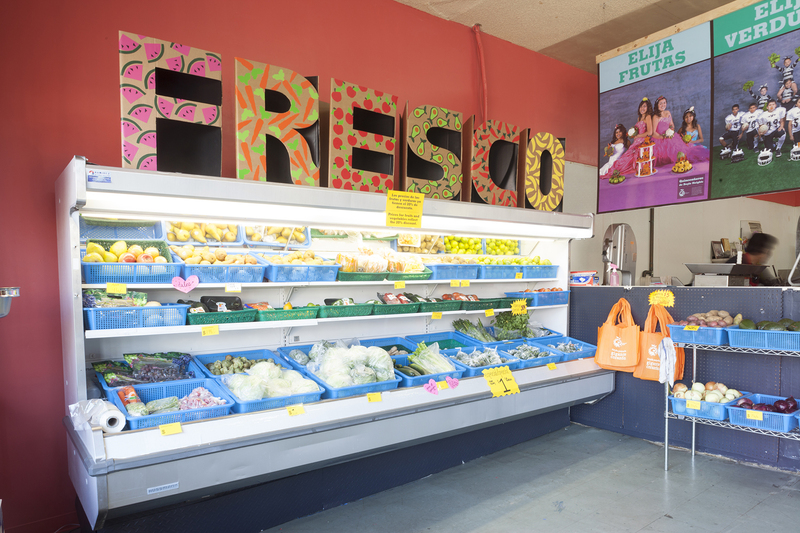 Initially walking into the Euclid Market, a person could have been overwhelmed by the selection of chips, shelves and disorganization. 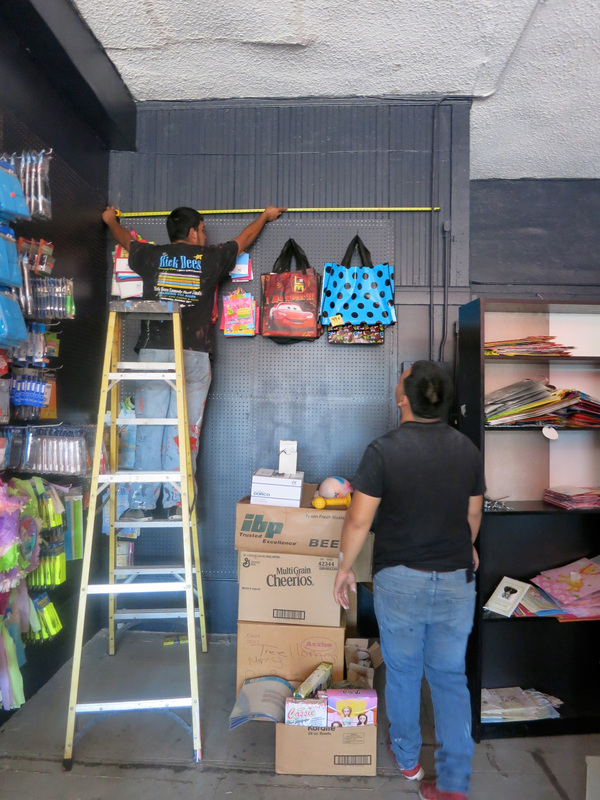 The large store was filled to the brim with stuff that had no specific order. 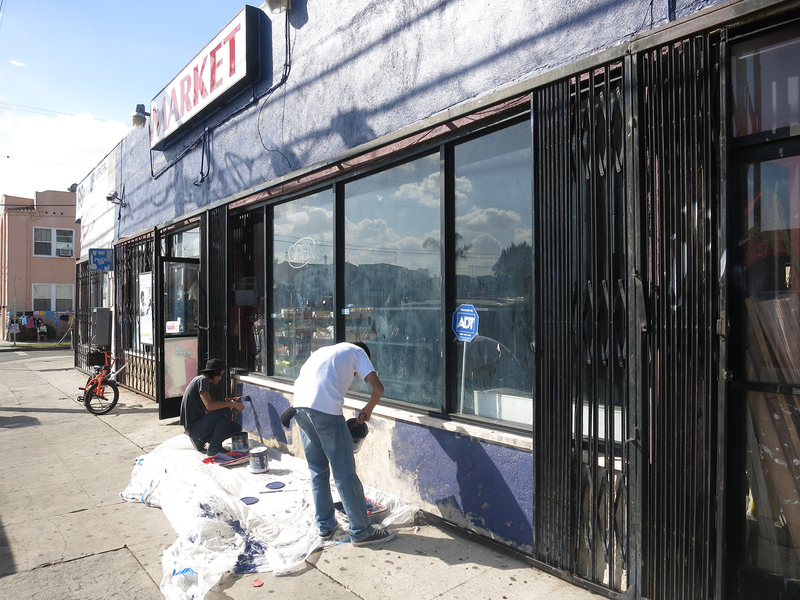 Nathan Cheng, alongside the Community Liaisons, looked at designs for floor plans, colors that would coordinate with the exterior, and a layout for the whole store that would flow. 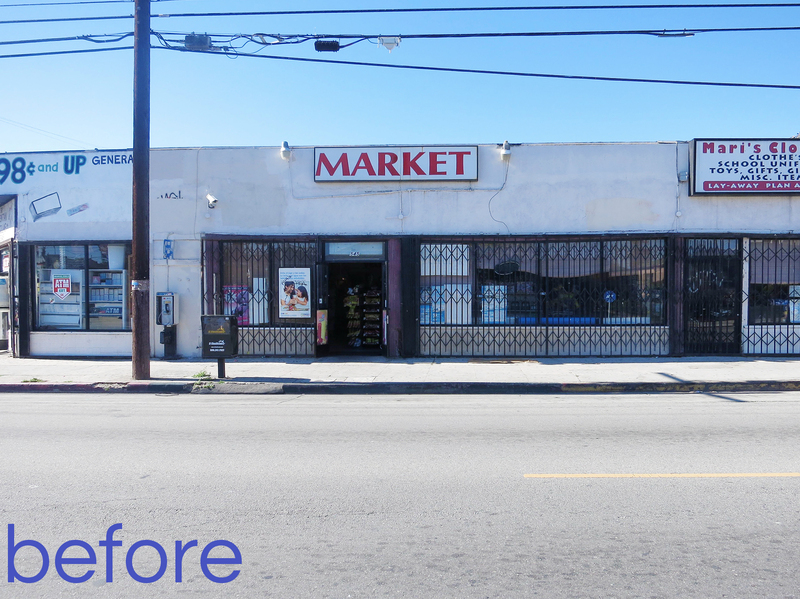 This interior transformation kicked into gear when the Community Liaisons started the hard labor of cleaning, painting and reorganizing the shelving units that were already in place. 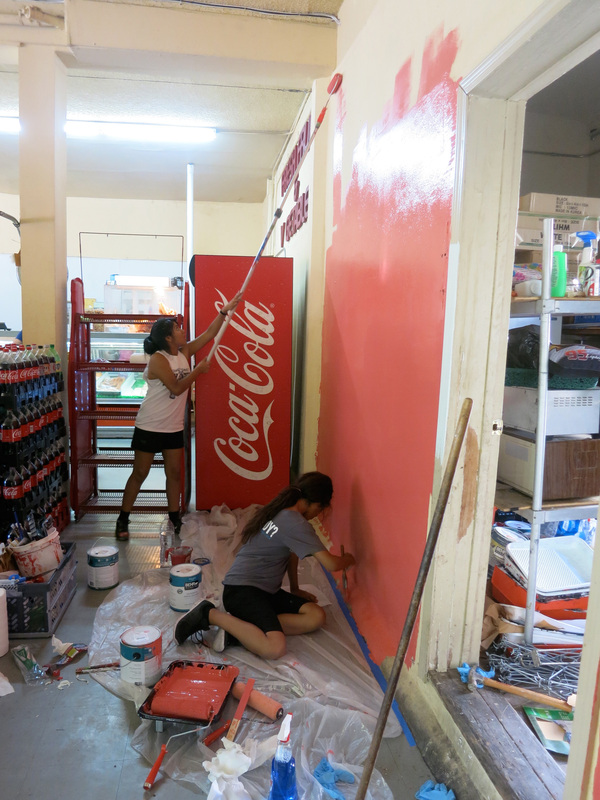 The reorganization of the store was essential to making the store more open and inviting to the neighborhood. 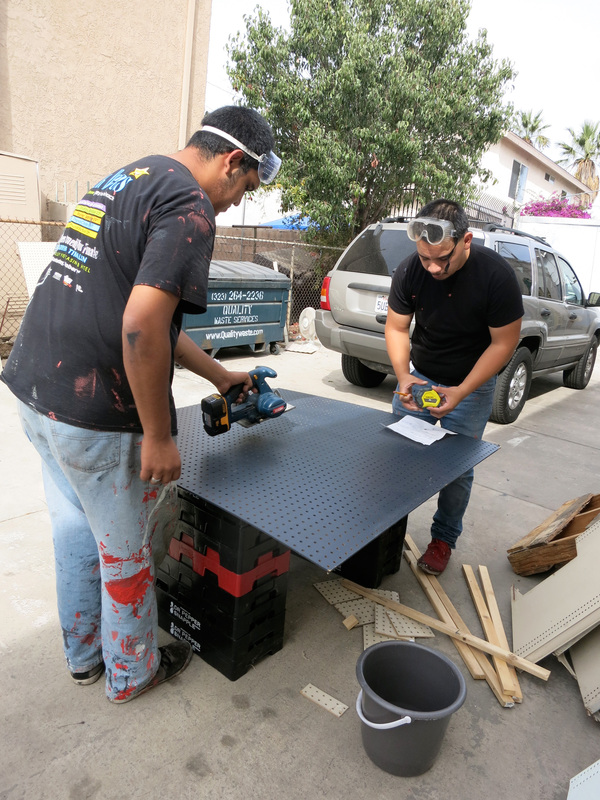 As Community Liaisons emerged from this process, not only did they work on the stores to fulfill their specific tasks, but learned to be the leaders that their communities need. 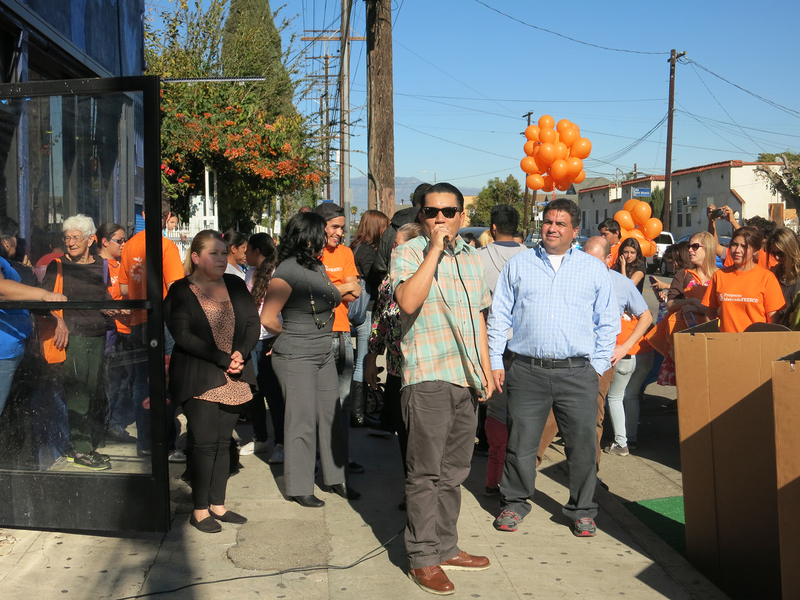 On Saturday, Decemeber 14, 2013, Euclid Market re-opened to the Boyle Heights community offering a new healthy retailer to the neighborhood. 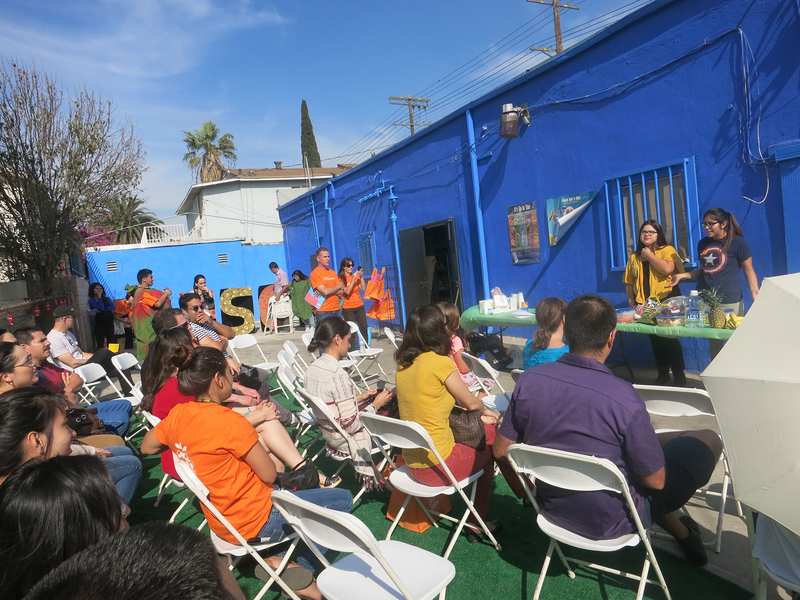 the result of a collaborative effort by local youth, community members, the Ramirez family (storeowners), UCLA students and staff, Nathan Cheng Consulting, and Public Matters through the UCLA-USC Center for Population Health and Health Disparities (CPHHD)’s Proyecto MercadoFRESCO. 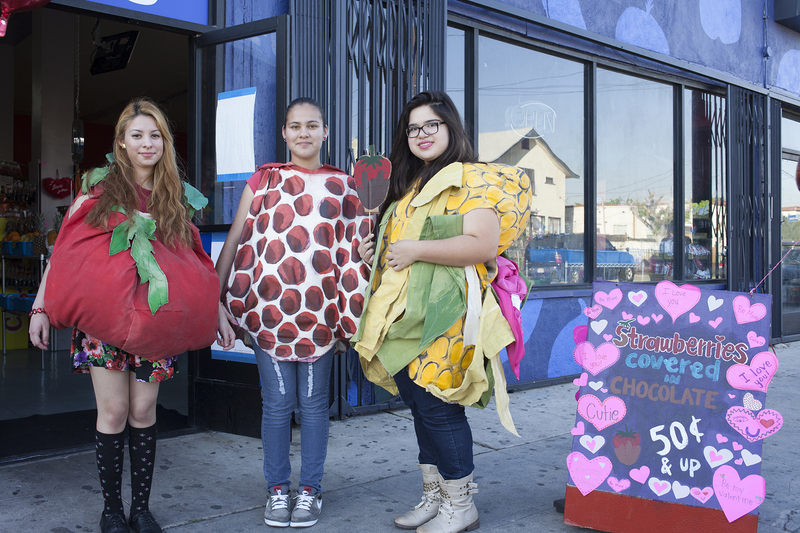 The day began with the Community Liaisons in their fruits + vegetable costumes and mariachis marching around the surrounding neighborhood of the store handing out invitations to the event. 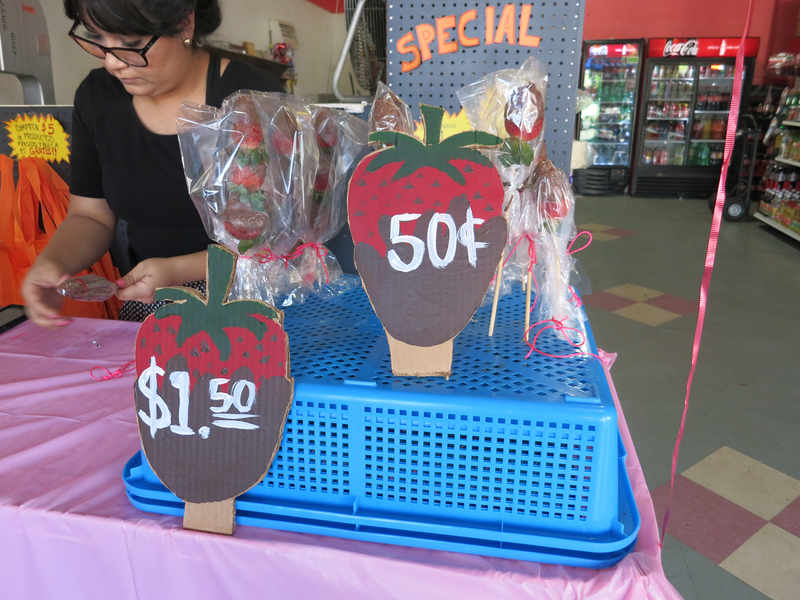 The event also included a mini health fair in the back of the store providing the community with high blood pressure screenings, face painting and cooking demonstrations. 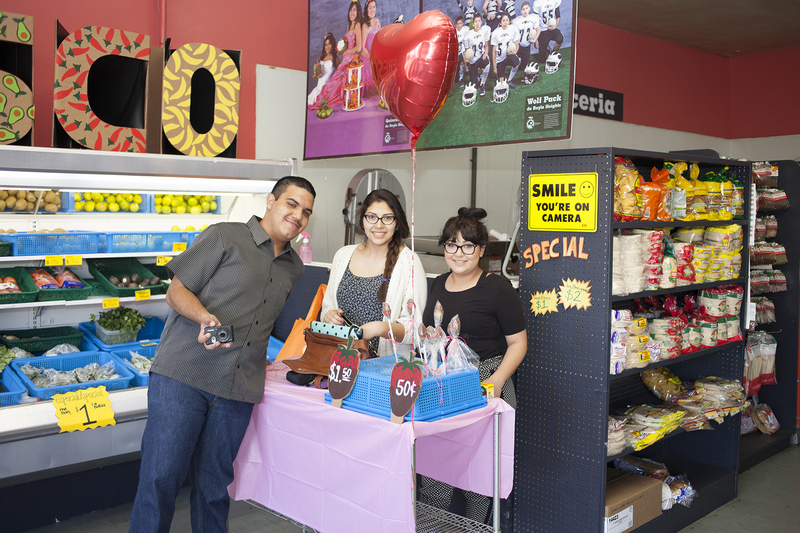 Community Liaisons + CMNT students came together on Valentine’s Day 2014 to prepare chocolate covered strawberries to sell inside the store to demonstrate that love includes healthy eating. 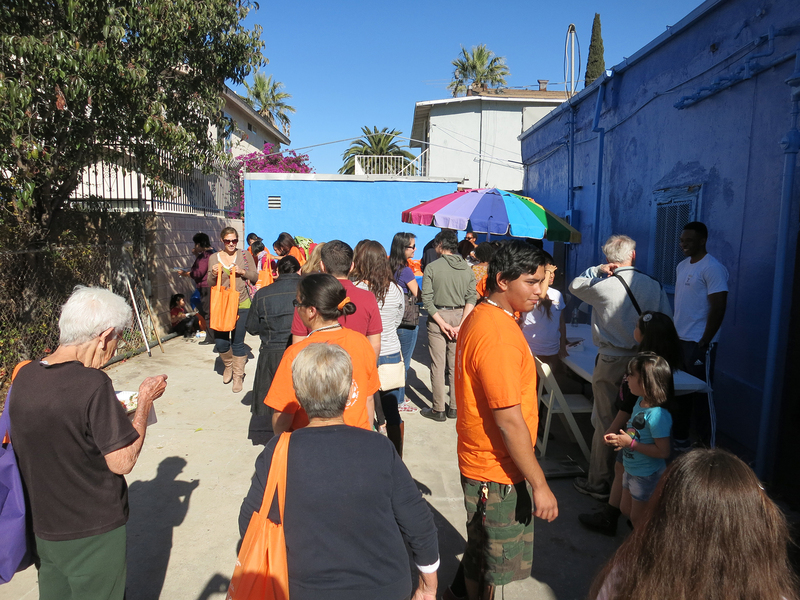 Community Liaisons + CMNT students came together with the giant fruits + vegetables to have a food demo for the community. 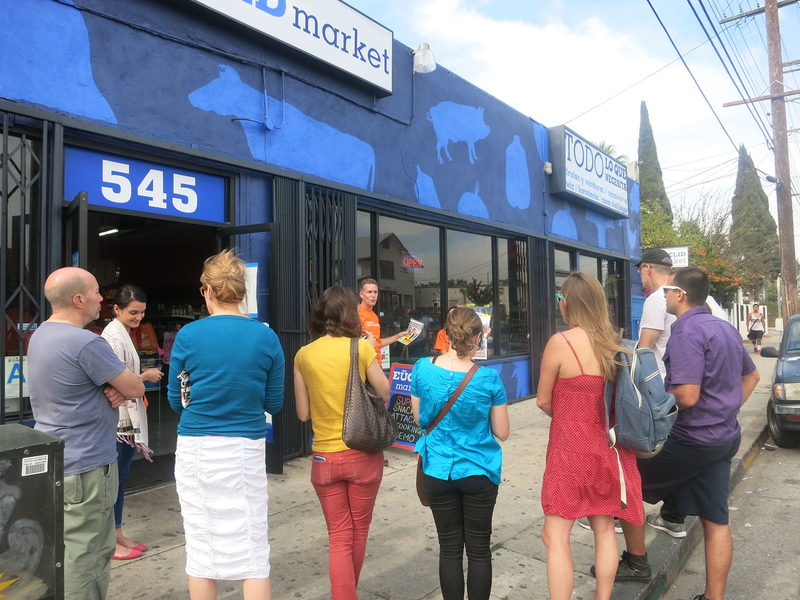 Inside the store the items used in the recipes were on sale!